The latest news from Omega Morgan. Kalama Export contacted Omega Morgan’s Millwright Division in Portland to repair an articulating grain spout at their international grain terminal on the Columbia River in Kalama, WA. One of the four articulating spouts at the grain terminal was operating unusually, reducing the terminal’s efficiency by 25%. Diagnosing the problem and repairing the grain spout presented the millwright team with a unique and challenging situation. Omega Morgan’s first step involved their industrial services team performing an on-site inspection. They discovered that the main support pivot pin, responsible for steering and supporting the spout structure, was critically fractured and failure was imminent. Limited access required a creative solution to resolve the issue promptly and permanently. The solution required an ocean-going barge, a tug service, scaffolding, a 150′ manlift, welders, and a derrick barge crane. The flat deck barge and manlift provided river-side access, while the scaffolding provided access from shore. 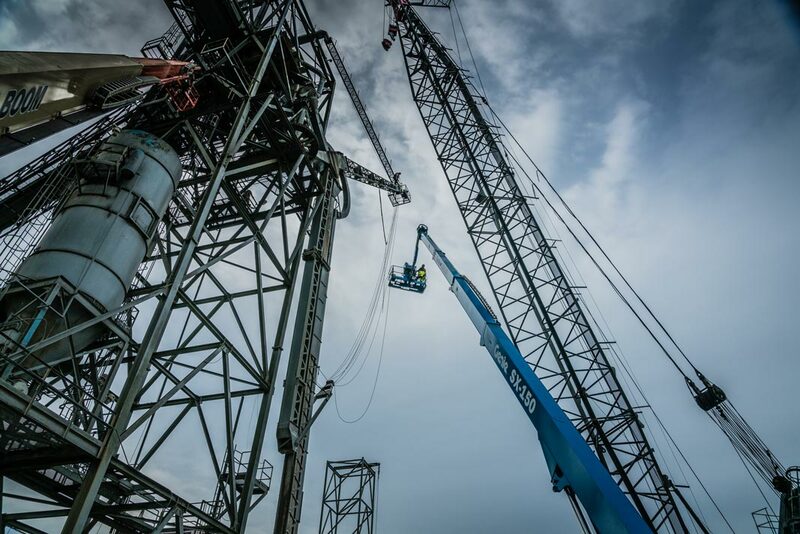 The water crane was used to load and unload equipment and gave additional access to the work at elevation. Pad eyes and rigging were employed to support, reposition and control the nearly 50,000 pound load of the spout pipe assembly while undergoing demolition, welding, and refurbishment. This combination enabled the team to perform multiple repair activities simultaneously. Engineering data and drawings were not available, necessitating the use of field measurements to obtain dimensions. The team manufactured new structural plates using a CNC plasma cutting table, and a new pivot pin and receiver tube on their shop lathes. The project also required the team to create custom-made bronze bearings, washers, retainer nuts, and bolts. Despite the challenges of the difficult access point, the Omega Morgan team completed the repair without a hitch. The entire project, from the initial inspection to bringing the grain spout back into service, was completed in just three days. The speed and efficiency of the repair were made possible by the team’s expertise and great working relationship with our customer’s stakeholders. 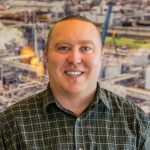 Director of Sales at Omega Morgan prior to that Project Manager / Estimator at Omega Morgan, currently sits on the Board of Directors for the Oregon Trucking Association also chair the Oregon Department of Transportation Mobility Committee.